We are proud to offer our Seattle patients our extensive experience and expertise in liposuction, the single most popular cosmetic surgery procedure in the U.S. today. Liposuction sculpts the body by removing undesirable fat that has not responded to diet and exercise from the abdomen, waist, hips, buttocks, thighs, knees, upper arms, chin, cheeks and neck. Liposuction not only offers the opportunity to slim and contour chubby areas of the body; by removing the fat cells, it also ensures that these areas will not accumulate fatty deposits in the future. Our Seattle doctors know that all patients are different, both in their body shapes and in what they wish to achieve with liposuction. We take as much time as necessary during every pre-operative consultation to learn what each patient wants liposuction to do for them, and to decide which technique is best. In this way, every one of our patients enjoys completely customized treatment designed with his or her specific goals in mind. The liposuction procedure may last from one to five hours, depending on the amount of fat being removed. The doctor will use either local anesthesia or general anesthesia, again depending on the size of the area(s) being treated, as well as several other factors. We will discuss which method is best for you during your pre-operative consultation. Results are visible immediately, and improvement often continues as swelling subsides during the first three months. We make sure that scars from the liposuction cannula insertion point are small and inconspicuous. Irregularities in appearance are possible, such as asymmetric or "baggy" skin, numbness and pigmentation changes. For more details about liposuction, please click here. Liposculpture is liposuction. They are really synonymous. 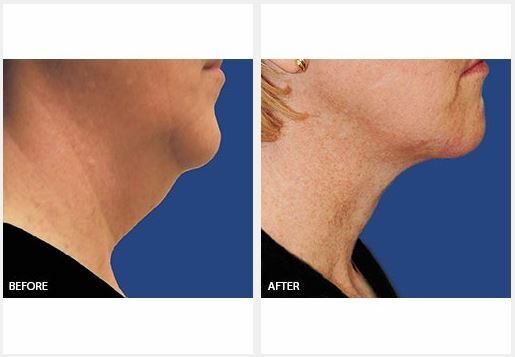 However, some experts use the term "Liposculpture" when they are treating smaller areas of fat such as on the neck, or the knees. Or they use “Liposculpture” when talking about "sculpting" areas on individuals that have only minimal fatty deposits (such as a young athletic female that has a small excess of tummy fat). In my practice, they are the same procedure. Suction assisted Lipoplasty is the medical term that encompasses "Liposuction", "Liposculpture" and "Tumescent liposuction". I use minimal or moderate "twilight" sedation. This means that my patients are awake and able to talk to me during their liposuction procedure. Being a Mohs micrographic surgeon, my post-dermatology training was in surgically removing skin cancers on patients who are awake. As such, dermatologists have the training and patience to perform surgical procedures on patients who are awake and alert. This allows us to care for liposuction patients in an awake state. The majority of my tumescent liposuction patients are very comfortable during the procedure and do not need deep sedation. Using only minimal sedation increases the safety of the procedure. My patients walk out of the office, and we insist that they walk around the house or down the block on the evening after their procedure. This decreases the risk of blood clots, and speeds the healing process. What is "tumescent liposuction", and what technique do you use? The technique that Dr Reichel uses is "Tumescent liposuction". Tumescent liposuction was coined and developed by a dermatologist (Dr. Jeffrey Klein) in the mid 1980s. It means to use a large amount of very dilute anesthetic to tumesce (swell) the fatty tissues. It allows for removal of fat cells while patients are awake, and it greatly decreases the amount of bleeding and complications. Currently, almost all, or all, liposuction is done using tumescent anesthetic whether the patient is awake or under general sedation. For more details about liposculpture, please click here. After more than 10 years as America’s most popular surgical beauty fix, liposuction remains the only true method to permanently remove unwanted fat deposits and reshape the body. Dr. Reichel is specially trained in the tumescent liposuction technique. Using the tumescent technique, Dr. Reichel is able to perform the procedure without general anesthesia. "I use moderate sedation so that you are breathing on your own and are able to communicate with me during your procedure." Because of this, you can eat and drink normally before the procedure. We recommend that you do drink water the evening before and morning of your procedure, as well as have a light breakfast. During the 1 – 2 hour procedure, areas to be treated are first injected with a dilute local anesthetic to eliminate any discomfort. Dr. Reichel then uses a small hollow stainless steel tube called a cannula to remove the unwanted fat. Using the small bore cannula decreases the recovery time and allows patients to return to normal activity in just a short time. All liposuction procedures are done in Dr. Reichel’s AAAHC accredited Ambulatory Surgery Center, assuring the highest level of safety and care for her patients. Liposuction is so effective that in 2006, more than 403,000 liposuction procedures were performed in the United States, according to the American Society for Aesthetic Plastic Surgery (ASAPS). Of those, more than 53,000 were for men and another 3,200 were for persons age 18 or younger. Interest in liposuction remains strong because it is still the only way to re-sculpt the body in just one procedure. The technique is considered permanent, because the fat cells that are removed can never re-grow. Results are especially good for those who have tried dieting and exercise but are still unable to lose areas of exercise resistant fatty deposits. Liposuction can be used to smooth the tummy, thighs and love handles. It is also great for shaping the neck and jawline. Liposuction can reshape smaller areas like the arms and legs. This can provide more definition to these areas, creating a leaner and more graceful silhouette. Dr. Reichel has been performing liposuction for more than 8 years with fabulous results. Please call 206-859-5777 for your free liposuction consultation. For more details about tumescent liposuction, please click here.